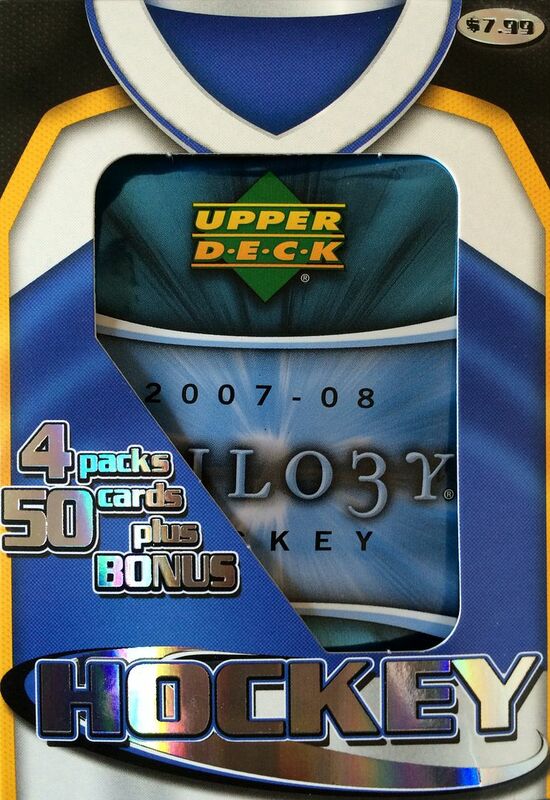 Last week I was excited to get a hobby pack of 07/08 Upper Deck Trilogy in an Excell Re-Pack. Those packs alone are worth the price of the re-pack box of cards, so I went back to Target to see if they had more... and they did! There were two more re-packs with the Trilogy pack showing on the outside. A third box on the shelf didn't have Trilogy in it, so I left that one behind. You'll see me open this box today and the last one next week. The pack configuration of this re-pack was exactly the same as the last one. I think whoever puts these packs together tries to stay consistent. Other than the Trilogy pack, everything else was unremarkable. Some re-packs give out a couple Upper Deck Series 1 packs, which is great because they could possible contain good Young Guns. But I guess the Trilogy pack was the 'heavy hitter' so the rest of the packs had to be of lower quality. The O-Pee-Chee packs are actually 'ok', and do have the potential (albeit a very narrow one) to get a hit. I've gotten to enjoy opening up OPC blasters, so I don't mind the 2 08/09 OPC packs. 08/09 was also the year Upper Deck put in the retro cards that looked like the OPC cards of Wayne Gretzky's rookie year. The Collectors Choice pack is the one that has to be the most disappointing to get. Collectors Choice is one step above Victory in my opinion - and it's a small step! There just isn't anything you could really possibly get in it. Ah well, I just have to remind myself not to get to greedy... there's already a nice pack in this selection! So this break wasn't as exciting as my break from last week, but it was still good. As I thought, nothing really great came out of my OPC and Collectors Choice packs. My 50-card assortment had some interesting cards come out though. 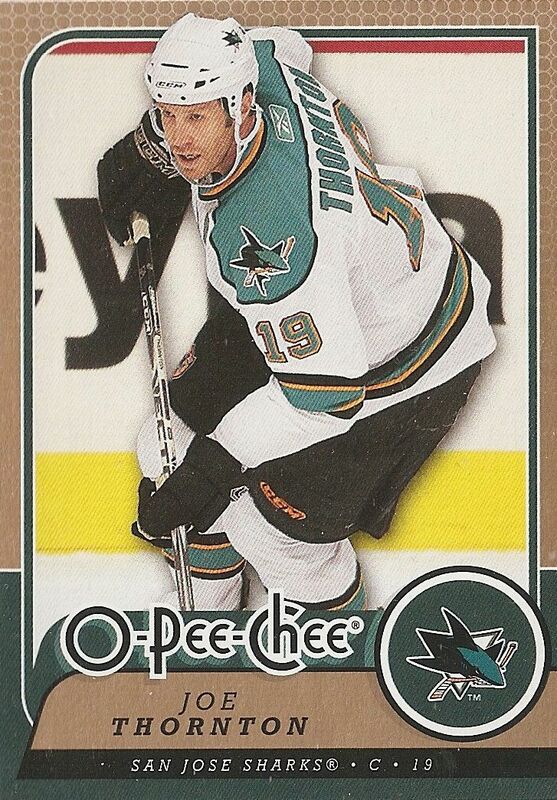 Some notable cards were an '89 OPC Kevin Dineen, '93 UD Claude Lemiuex, and an 11/12 Martin St. Louis. I mention these three cards in particular because they were each made so far apart from each other! I was especially shocked to see the 11/12 St. Louis card. That card tells me that the 50-card assortment was put together fairly recently. I really wonder who is it that makes these things and what their thought process is when putting them together. Of further note is that I got four total Dave Taylor cards. Really?!?! Four Dave Taylors? This was definitely a Dave Taylor hot box. I got a '90 Score base, a '90 UD base, and two '90 Bowman base cards of his. Is someone breaking up their Dave Taylor PC? Haha! No idea. Though I said nothing really came of the OPC and Collector Choice packs, I did choose this Joe Thornton card as a tope three card. Joe has been having an outstanding season thus far, and I always enjoy seeing him come out of the packs I get. The captain of the Sharks has been strong and steady in the NHL for many years. 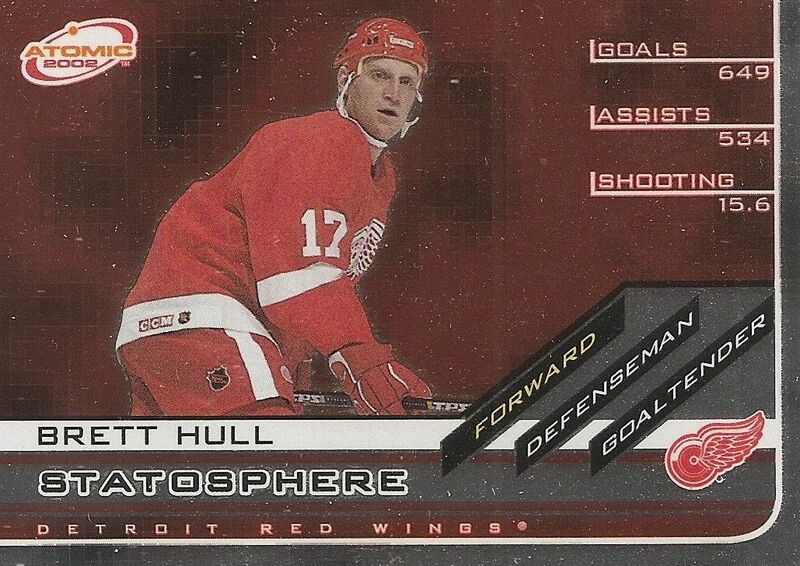 This Brett Hull card was my 'bonus' card from this Excell Re-Pack box. Like my Bure I pulled last week, this card is in very good shape! That's good considering whoever packs these just tosses them in with all the other packs. I remember Hull very fondly as a consistent member of the Beckett Hockey Cold list when they had that going on. 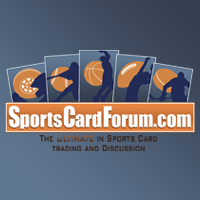 To this day I fell as though collectors don't want his cards because of that. The best card in the break came from the Trilogy pack. 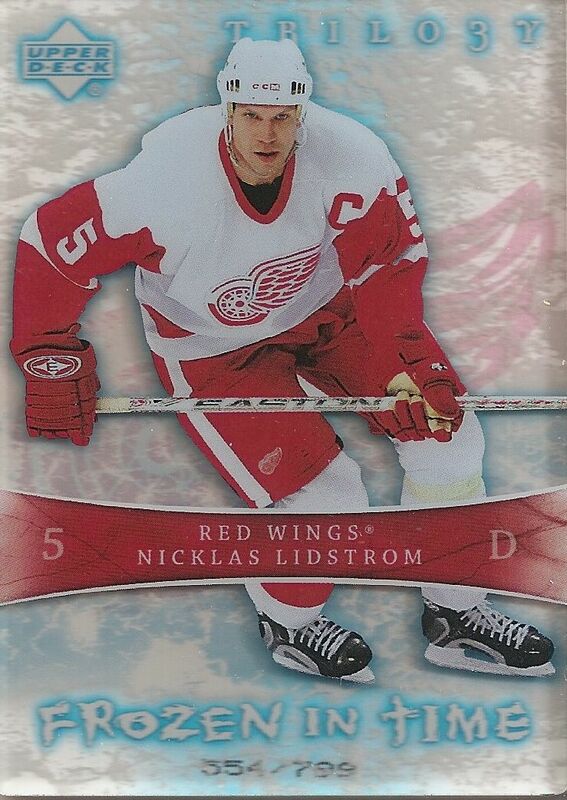 It's wasn't Wayne Gretzky like last week, but Lidstrom is still a legendary player. I noticed that the Trilogy pack was fat again. It makes me wonder if I will get another Frozen in Time next week. Could it be that someone sorted out all the fat Trilogy packs to pull the hits out of the remaining ones? It could be the case. We'll find out next week when I finish this 'trilogy' of Excell Re-Packs! I couldn't go wrong with this week's break as it contained that Trilogy pack again. 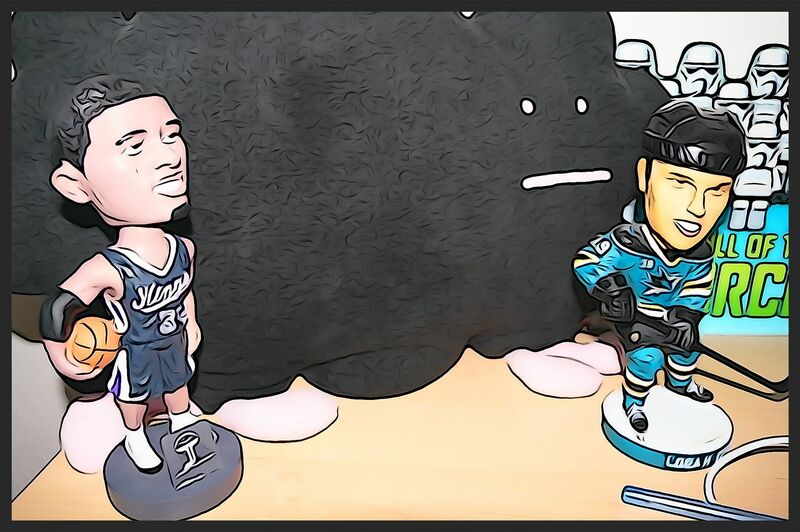 My break this week wasn't as satisfying as last week's, but I still enjoyed it, and I do really like the Lidstrom that came out. 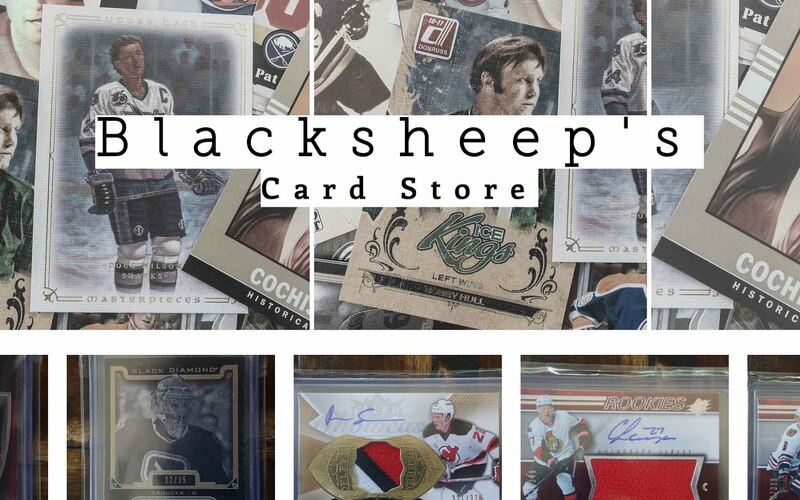 Check back next week to see what comes out of the final Excell Re-Pack!